Hey y’all! This new section about Self-Care and creativity is a big step for me personally, and I want to share my experiences and struggles with you so I might help you find a way to take better care of yourselves as well. I was really struggling for a few months to organize myself in a way that was flexible and meaningful to me. What I mean by that is that I had a lot oft hings to do every day, but I knew only vaguely what had to be done that particular week. With work, uni and my shop, it was really hard to keep up. I was way too tired to really figure out a strategy and organize myself in a way that would make me happy and productive. What got me out of my slump were two things: first, my coloring book. I started a new coloring book by Johanna Basford „My Magical Jungle“ and I painted it only with water colors and it was so much fun. I spent hours doing just that and re-discovering what it means to be only focused on one task at a time. The second thing, that came much later, was my Bullet Journal. I just discovered bullet journals a couple of weeks ago so I didn’t start at the beginning of this year but rather at the beginning of March. I started out with literally four pens and a notebook and it’s been so much fun so far! It really forced me to focus and think about myself and my goals and how to get there. I’m definitely not an artist, but it also helped me get creative and empty my mind for a bit. I even decided to try out some calligraphy! Obviously it’s not something I can learn overnight but after 4 years of writing Japanese, it wasn’t too hard to pick it up, though I still have a long way to go! Being creative helps you focus! You don’t have to be an artist, you don’t have to be particularly good either. Just take up a pen and a piece of paper and start drawing. If it’s Einstein’s portrait or random stars and clouds – as long as you’re able to let go and think about nothing else, it doesn’t matter what the end result will look like. You can use your bullet journal to write down a few things each week that were great. Be it a home-cooked meal with a friend, a new shirt you bought or a few hours of sunshine. Don’t force yourself to write extremely long entries. Bullet points, a small photo or a quote can be more than enough to appreciate the little things in life. What do you do to unwind? Do you have a Bullet Journal as well or would you like to start one? Tell me in the comments! The Simple soul of Susan is a book that is was a pleasant change for me since I recently only read fantasy books. Guys, I just couldn’t put down. The story is extremely sweet even though it deals with some deep issues at times. Susan lives in a small town in Texas and all she wants for her life is to settle down with the love of her life and stay in her home town. But.. her love interest is her best friend and as you might think, things start to get complicated pretty soon. This book deals with so many issues probably most of us have experienced in some way or another: friends who have once been close drift apart, growing up, starting a career, mobbing and belonging of a community, poverty and inequality. All these themes are contained in this small book. Some of the issues are only scratched on, others are detailed and discussed in-depth. I really loved Susan, even though I think she cries a lot, and I felt real empathy for her and her problems, as I have faced them at some point in my life. I have to admit that I did cry when I read some of the scenes. I liked some of the other charraters as well but the main focus is on her and her experiences. And that actually gets me to my next point: you have to understand that this novel, at least in my eyes, is more of a story telling though episodes. You will find a gradually developing plot and characters, but do understand that a few weeks or even months lie between some of the events. AT the beginning, this really bugged me and it was hard to get into the book. When I got used to it though, I got fully absorbed in the story. That being said, I still wish the book would have been longer and that we would have gotten to know the main character more. What does she do when she doesn’t interact with other characters? What were her first encounters with some of the characters ( the old ladies for example). I think there is a whole world still waiting to be explored here and I wish the book wasn’t over and I could read more about Susan and her adventures. I am so torn when it comes to the rating of this book that I decided not to give a rating. Some stylistic and plot techniques were a bit too convenient for my taste and I didn’t like the ‘episode-like’ telling of the story, but I did enjoy the book, the characters and their development so much, I don’t want to not give 5 stars simply because the story is so emotional adn wonderful to read. The story frows extremely nicely and it’s extremely easy to read. So go ahead and read this wonderful novel youself or if you have already, what was your imporessions? 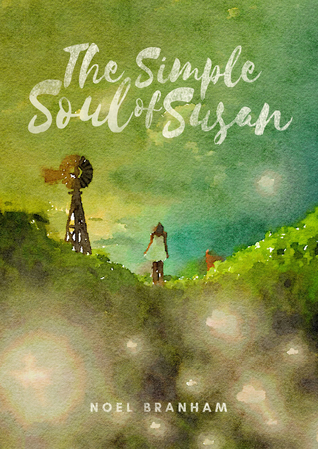 What did you rate The Simple Soul of Susan? I received an ARC from the author in exchange for an honest review. This does in no way influence my opinion of their work. Nyxia by Scott Reingten was such a wonderful, inspiring and interesting read. I have never read anything of the like before. 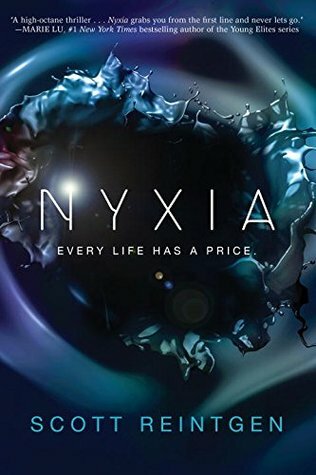 Nyxia is not only a story of friendship, hardship and corruption, it is also a story that shows how people grow and succumb to their situation and how some will not give up who they are no matter the price. I literally devoured this book. Not only the world was intriguing. It was this mix of sci-fi-ish elements combined with the competition that creates a deadly situation in which even the victors are damned in a way. “Emmet Atwater isn’t just leaving Detroit; he’s leaving Earth. Why the Babel Corporation recruited him is a mystery, but the number of zeroes on their contract has him boarding their lightship and hoping to return to Earth with enough money to take care of his family. Before long, Emmett discovers that he is one of ten recruits, all of whom have troubled pasts and are a long way from home. Now each recruit must earn the right to travel down to planet Eden- a planet that Babel has kept hidden- where they will mine a substance called Nyxia that has the quietly become the most valuable material in the universe. The struggle in this book was so real and captivating, I felt like I was the one fighting for my life, my future and my sanity. Babel Corp. doesn’t play games and who isn’t partaking will forfeit their chance of not only winning, but securing a chance of happiness for their whole family. There isn’t much world-building as the whole story takes place in a space ship. But the characters are three-dimensional, emotional, torn and desperate. This book tells the story of friendship, humanity and the will to survive. I would recommend this book to anyone who wants to read something refreshingly new and mysterious that has the potential to be on your top five list 2017. Hey guys this is just a quick update that I am back in the game, at least try to and I really want to post regularly again. I had a really tough time with two jobs, uni and what basically was a pathetic excuse for a life these past few weeks. 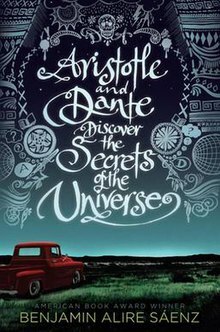 Aristotle and Dante Discover the Secrets of the Universe is a YA book that has all the right twist and turns. Unexpected friendships, love, family… Even though there are lots of light-hearted and insightful scenes, Aristotle and Dante’s story has also a few darker moments. Prejudice, gang life, poverty, racism and homophobia are addressed in this book on different levels. There is a variety of themes and so, there are also a variety of characters I met in this book. From doting parents, funny pets and amazing main characters and even some cowards and villains, you can find everything here. Th writing style was imaginative and elaborate, without being overly explanatory or boring. It fit well in the story’s mood. The dialogues were extraordinarily well placed ( I think most authors use dialogues just because they don’t know how to go about a certain topic in the book). Saenz did a wonderful job of bringing this story to my home. But I didn’t like Aristotle and Dante Discover the Secrets of the Universe because of the character variety. I honestly cared almost only for the two main characters Ari and Dante. heir story is the main story and it touched my heart in ways I cannot or care not to analyze because it was just beautiful to listen to the awesome audiobook and enjoy the dialogues and the questions those two asked themselves: who am I? Where do I belong to? Which is the culture I want to be part of? What about my family, sexuality and education? These are questions all us ask themselves to some degree at some point of their life and I just love their journey. The way is full of stones and rocks and hills and rivers, but also sunny days, and they make it through everything together as friends. I don’t feel embarrassed to say that I have started crying about four times while listening to the book in one day (!!). There is nothing bad I can say about this book, I loved every minute of it and afterwards, I decided to immediately buy the hardcover edition because I just needed to have this book in m house ❤ I actually had such a bad hangover that only a week after I have finished it, I am ready to write this review. The story progresses slowly and naturally. Maybe not all of you ( who haven’t read it) will be touched by the book as I was, but fr me, it is now one of my all-time-favourites. You should start reading really,soon!